Escape Plan 2: Hades (film, 2018). A 2018 American-Chinese action thriller film with "R" rating by Summit Entertainment/Lionsgate Home Entertainment. Directed by Steven C. Miller. Official Trailer. Escape Plan 2: Hades is a 2018 American-Chinese action thriller film directed by Steven C. Miller. 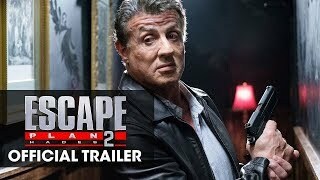 Escape Plan 2 (2018 Movie) Trailer - Sylvester Stallone, Dave Bautista, Curtis Jackson. After escaping the Tomb in the first film, Ray Breslin has continued operating his security company to some success. He employs Hush and Abigail as members of his senior staff, with newcomers Shu Ren, Jasper Kimbral and Luke Graves as field operators. During a hostage rescue mission in Chechnya, Kimbral, trusting his computer algorithms, deviates from the mission objectives, resulting in one of the hostages getting shot. The hostage later dies of her wounds. Because of his inability to work in a team, Breslin fires Kimbral from the company. A year later, Shu is contacted by his family to protect his cousin Yusheng who is about to announce groundbreaking satellite communications technology from his telecommunications company. Yusheng is targeted by a rival company who wants his technology and has made increasingly aggressive attempts to acquire it. After attending a party in Bangkok, Yusheng is confronted by masked men. Shu fights them off, but both of them are stunned with taser weapons and kidnapped. When Shu comes to, he finds himself imprisoned in an unknown location with the appearance of an arena, where inmates are forced to fight each other and the winner receives a reward. He is forced to fight another prisoner and wins. Shu later encounters Kimbral as another inmate. Kimbral tells Shu that the prison they are in is called Hades and that he has been imprisoned for several months. Meanwhile, Luke, Hush, Abigail and Breslin attempt to locate Shu after his and Yusheng's disappearance. 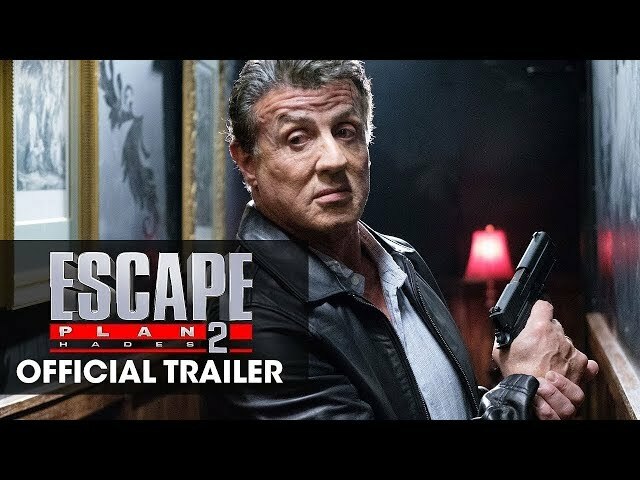 The film Escape Plan 2: Hades was scheduled to be released by Summit Entertainment and Lionsgate Home Entertainment on June 29, 2018. The duration of the film is 94 minutes. With a budget of $20 million, the film grossed over $16.1 million.